Today RendrFX announces the launch of its online video platform. 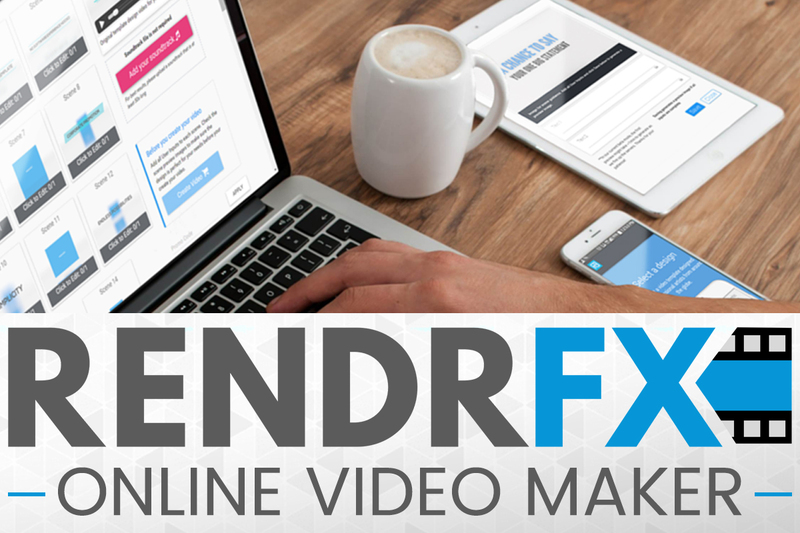 With new, enhanced features, RendrFX empowers customers to create engaging videos for their social media, website, and online marketing needs. After four months of gathering insights from its beta launch, RendrFX is excited to offer a slew of new features, enhanced user experience, and many new video designs optimized for social media advertising and engagement. The RendrFX web app provides customers the ability to select video designs curated from professional artists and then upload their own text, images, logos, video clips, custom colors, and sound to transform the designs into polished final videos. With new, flexible pricing, users can create up to three watermarked videos for free before selecting to purchase either individual non-watermarked videos or bulk subscription plans. As consumers shift from traditional television to watching video content on digital devices, marketers must also shift their strategies and advertise via social media channels. Earlier this year, Facebook announced that users watch over 100 million hours of video per day on the social network which is in addition to the hundreds of millions of hours spent on YouTube, SnapChat, Twitter, and other platforms. When making purchase decisions, consumers are doing more research than ever on mobile devices, where visual video content can help inform their decisions. RendrFX’s easy to use platform and affordable video pricing enable companies to create multiple videos for their websites and social media channels to meet this growing need for content. All video designs can be accessed via http://www.rendrFX.com and videos can easily be created online without professional video editing skills, intensive computing, or extensive cost.